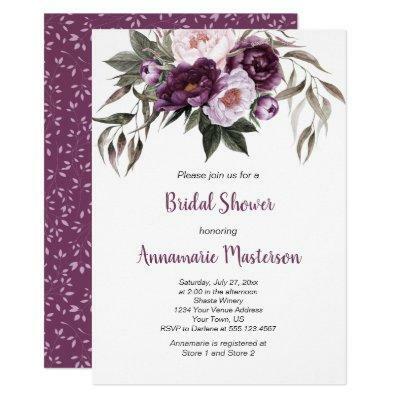 Purple, Plum, and Pink Watercolor Peonies and Greenery Bridal Shower Invitations. The text templates are easy to personalize using a mix of calligraphy and modern text. Perfect for a spring or summer wedding. If you need help, please contact me through my store.